Deodorant is an essential for anyone’s hygiene routine. While many people opt for highly fragranced deodorants to cover up any unpleasant odors, others prefer to use products that are unscented and just reduce existing odor. While heavily fragranced deodorants are easy to find at your local convenience store, it’s more difficult to find high quality unscented deodorants. In this article, we’ll cover how to choose the best unscented deodorant for you, and we’ll review some of our favorites. Best Unscented Deodorants1. 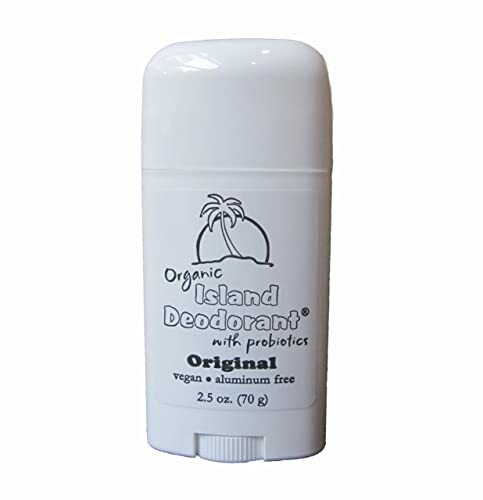 Organic Island Deodorant2. Green Tidings Organic Natural Deodorant3. 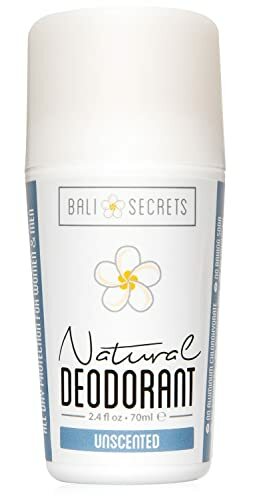 Bali Secrets Natural Deodorant4. 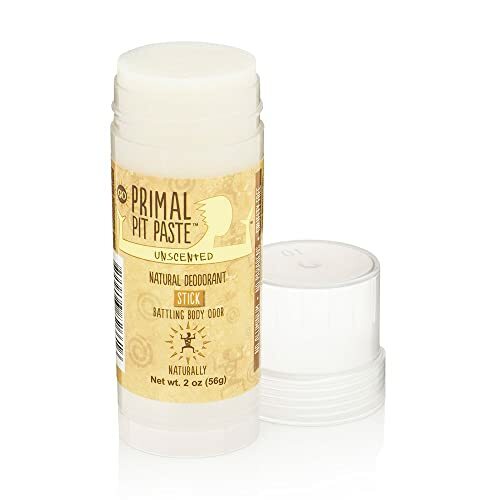 Primal Pit Paste All-Natural Unscented Deodorant5. 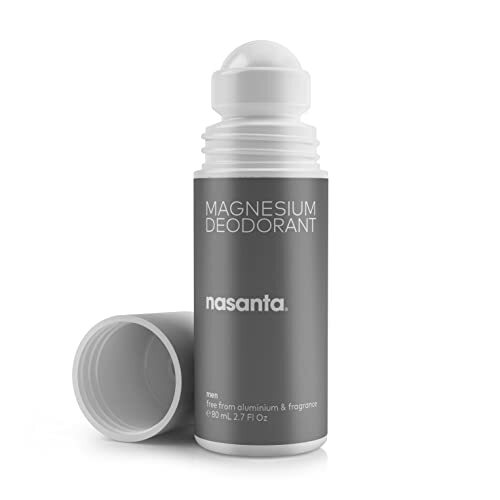 Nasanta Magnesium DeodorantWhy Use Unscented Deodorant? There are tons of options for unscented deodorants out there, but there are some that stand out specifically for their high performance, ease of use, and great ingredients. Here are our favorite options for unscented deodorants. This deodorant is ideal for someone who is very concerned about the ingredients in their deodorant. It checks all the boxes: it is vegan, completely natural, and free of BPA, aluminum, gluten, parabens, and alcohol. It uses probiotics to control odor, which work with your body to naturally balance your scent. Other beneficial ingredients include coconut oil and jojoba oil, which are great for keeping your skin healthy and moisturized. It comes in a convenient stick form, which contains 2.5 ounces of product that goes on clear. This deodorant last a very long time, with effectiveness for up to two days in many cases. It is important to note that when switching from a deodorant that contains aluminum to a natural deodorant, you will experience a "detox". This means that you will probably notice higher amounts of body odor for a short period of time before the deodorant begins to work. This all-natural and organic deodorant is not only great for your body, but it’s great for the planet too. It's produced in a facility in Southern California that is completely solar powered, and it is vegan, organic, cruelty-free, and free of aluminum, parabens, SLS, gluten, soy, silicone, and tons of other ingredients that you may not want in your deodorant. It also comes in a recyclable BPA-free tube that contains a full 2.7 ounces of deodorant. This deodorant is known for being incredibly strong and having no odor whatsoever. It lasts for a full 24 hours and will keep you smelling completely fresh. It is also very clean and easy to apply, so it leaves no marks on your clothing. As with any natural deodorant, you may experience a detox when you first start using it. This natural deodorant is created specifically to be good for sensitive skin, with no baking soda, aluminum, or parabens. It uses a blend of mineral salt and seaweed extract to create a deodorant formula with no scent at all, blended with aloe vera and coconut oil to be soothing to your skin. The deodorant naturally kills the bacteria that cause odors to keep you smelling fresh. This deodorant lasts a very long time. A little goes a long way, so just a small amount will keep you fresh for up to a full day. A whole stick, which contains up to 2.4 ounces, can last three months. This Austin-based company has created a deodorant with a unique blend of organic and natural ingredients, including shea butter, coconut oil, beeswax, and arrowroot powder. It also contains sunflower sourced vitamin E and natural baking powder. It is free of aluminum, parabens, and other ingredients that are potentially harmful to your body. This deodorant comes in both stick and jar forms depending on what you prefer. You do need to warm it up with your body heat before applying, which may be considered a downside to some. This deodorant does last for a very long time - over a full day for some people. You only need to apply a small amount depending on your personal pH levels, so the two ounce bottle can last for months. This brand is made in Australia and uses a magnesium based formula to control odor. It contains absolutely no aluminum or parabens, and it is completely vegan. The company also does not test on animals. Magnesium naturally balances your body’s odors, and it also is a mineral that your body needs to function properly. The company offers a 30-day money back guarantee if you don’t like it. This particular version is made specifically for men (who don't shave the underarms), but there is also a women's version that has added natural ingredients to soothe shaved skin. It's a roll-on deodorant that lasts for up to 12 hours. There are many reasons why you might consider using unscented deodorant instead of scented deodorant. One of the biggest reasons is that unscented deodorants really work to prevent body odor instead of just covering it up with a fragrance. If your lifestyle includes a lot of physical activity, you likely need something heavy duty that really prevents the odor from ever developing, as opposed to a quick fix to cover it up. Many people also choose to use unscented deodorants because they find artificial scents to be irritating. If you have naturally sensitive skin, the ingredients used to create the fragrances in deodorant might be uncomfortable on the skin of your underarms, which are already somewhat delicate. Additionally, many people don't like to wear scented deodorant for the opposite reason - they have a favorite perfume or cologne, and they don’t want the scent from their deodorant to clash with it. When shopping for an unscented deodorant, there are many things that you should take into consideration. Hygiene products are very personal, so it's important to think about your individual preferences when shopping for deodorant. Here are some of the things you should take into consideration when shopping for an unscented deodorant. Deodorants come in many different forms. While you probably think of a traditional stick deodorant when you think of this product, there are actually many other options available. Stick deodorants are usually made of compressed powder, but you can also find deodorants that are available in loose powder form as well. There are also both stick and loose forms of gel deodorants, which usually also have antiperspirant properties. Finally, there are also spray deodorants available. The ingredients in a deodorant are very important, particularly if you are using scented deodorant to avoid harsh ingredients on your sensitive skin. Many people are also concerned about whether the deodorant contains parabens or aluminum, which are both thought to have negative long-term effects. Additionally, many consumers prefer to use products with organic ingredients. Most importantly, you want a deodorant that actually works at preventing odors. If you need your deodorant to also prevent sweat, you should look for an antiperspirant as well. The deodorant should last all day, dry quickly, and keep you comfortable and fresh. It should also be designed to last through intensive physical activity or hot weather. When choosing a deodorant, you'll want something that is easy and convenient to use. It should go on cleanly, without making a mess or getting on your clothes. You'll also want something that doesn't require tons of effort or adjustment, so you can just swipe it on in the morning and go. There are tons of great options out there if you are looking for a natural, unscented alternative to traditional drugstore deodorants. While we like all of the deodorants listed here, our favorite is Green Tidings because it is very effective, has a great formula, and is very easy to apply.